February 28th, 2007 | Author: Dave Q.
American Idol just got a little classier with this contestant Antonella Barba and the pictures of her floating around the internet. I think I can save us all a lot of time and simply declare her the winner. Let’s face it. You’re not going to get much more talented than this. I don’t watch American Idol, but if girls like her are competing, then maybe it’s worth tuning in. Apparently besides looking pretty hot, she can sing too. Today is my first day back working in a facility that I haven’t been at in about 3 years. This is the site that I first started out at, so it’s a homecoming of sorts. Except that there is about a 90% change in the people that were here back then to who is here today. I barely recognize most of these people. And I’ve already gotten the “who are you?” look from a couple of people. They don’t realize I’ve been with the company for over 6 years. But there are a few familiar faces. Namely my good friend Brian. A fellow IT Analyst. 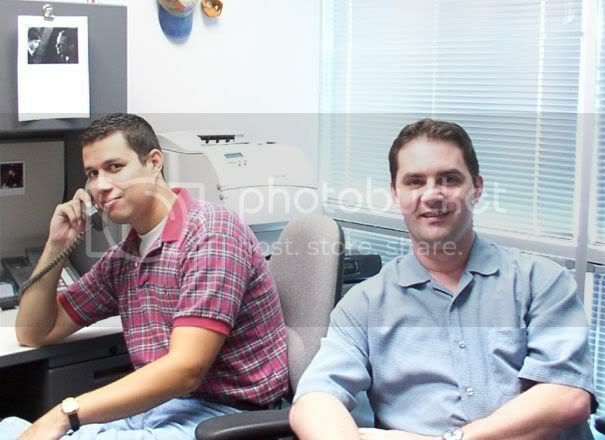 This is me and Brian in this building about 4 years ago. Look at me then. So young. So vibrant. So full of life. Not a care in the world. And Brian. He, unfortunately, still looks like this. He and I go way back. 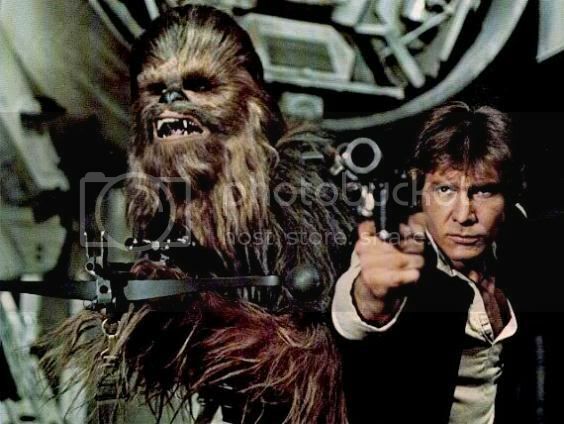 Kind of like Han Solo and Chewbacca. Naturally, Brian would be Chewbacca, since he’s taller. And ugly as sin. ;) That might be too harsh. Let’s just say he’s not as good looking as Chewbacca. Yeah. That’s sounds better.